The concept of “Smart Cities” has been around for the better part of a decade, referring to a city which uses sensors and other data collection methods to better manage its assets and resources. 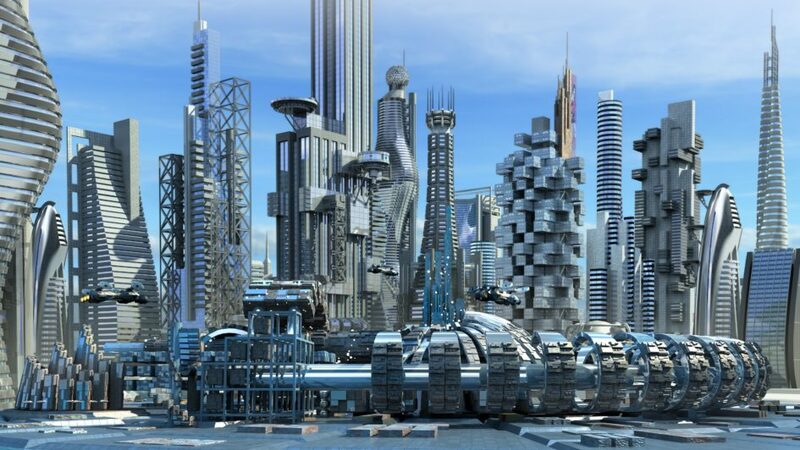 From a Transhumanist perspective, however, that seems a rather limited, even parochial notion of what a truly “smart” city might be capable of. After all, if an entire city were transformed into an intelligent system complete with sensors, effectors and feedback loops, then it is really not such a leap to expect that the city would effectively be an AI, and that its capabilities might be capable of rapid (and accelerating) self-modification. Imagine a self-modifying AI explicitly tasked with managing the affairs of London, Los Angeles, or Beijing. As if that weren’t an interesting enough notion in itself, the nature of software and computer networks means that one AI could in principle manage more than one city, and neither its software nor hardware need necessarily reside in any of them. The concept of cities having minds of their own raises a lot of questions, including the entire raft of issues normally associated with AI risk and “Friendly AI”. For example, most sophisticated commentators recognise that the most likely risk from AI is not that it would be “evil” in any recognizably human sense, but that its goals may be incompatible with human safety or other interests. The standard illustrative example is that of an AI “paperclip factory”, which has a top-level goal of converting raw materials into paperclips. If that AI does not also have goals that preclude harming humans, then it may well start trying to use humans and their environment (along with everything else) for raw materials. With that in mind, we can clearly see that it is important to ask ourselves what top-level goals an AI City might or should have. Additionally, any intelligent discussion of this matter must acknowledge that a city’s goals would not be chosen in some kind of philosophical vacuum, free from the influence of political, economic, and social issues. Given the increasingly intelligence-free, partisan nature of politics in some (if not all) Western nations, the risk of a City-Mind essentially being “weaponized” to deeply favour one party’s agenda over another seems to be a credible one. That is only one of a number of questions and implications that spring to mind, if we are indeed approaching an age of truly smart cities, such as: Does this suggest an effective return to the feudal age of City-States? Would it require “Federal” AIs to allow safe cooperation between City-Minds, and thereby make the system work? What would it take to ensure that the system is not prone to conflict between AIs, or between the City-Minds and the citizens they ostensibly serve? What intellectual tools do we have at our disposal for considering the likely consequences of interactions between City Minds? Does Game Theory apply? What about complexity theory, or the science of systems and emergent phenomena? Might the advent of City-Minds enable easy gamification of city life, to enhance citizens’ happiness and quality of life? Despite all the potential complexities and risks, there is also a wealth of potential advantages to the existence of City-Minds, if they are developed and maintained responsibly. Responsible, intelligent development and maintenance is unfortunately quite a tall order in civic politics these days, so a firm foundation of advance preparation would be needed to “do it right”. For example, politicians won’t even consider planning for this unless the idea is streamlined, and made easy for them to swallow. We would also need to ask ourselves questions, such as: What precautions should be taken before even attempting to create a full-fledged Smart City? Are there advantages for early adopting cities? What small “starter steps” could solve real problems, now? Would some cities be better suited to this than others? What might the criteria be for a good candidate city? In the medium term, what advantages would there be to efficient resource management, and would they be worth the cost and risk?